We’ve been inspired by the good folks at Substation 33, and are throwing our support behind their continued sustainable & social efforts by receiving (even collecting) e-waste from Clients & colleagues around Brisbane City, and delivering it to Substation 33 to be reused or recycled. Substation 33 is an electronic waste recycling business we did some probono work for last year. 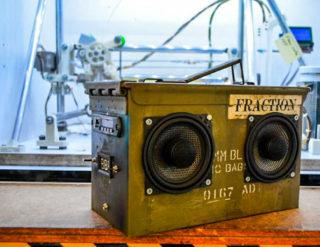 They do some amazing work recycling and re-purposing electronic refuse, keeping it from going to landfill, and investing it in projects that give back to the community (check out some of their exciting projects here, the sweet DIY Bluetooth speaker kit pictured is just the beginning). They also provide jobs and training for the long-term unemployed of Brisbane. Get in touch with us to learn more, or to arrange a pick up or drop off!